FC Barcelona took the lead for good in the final minute of the first half and held off Panathianikos’s second-half rallies for a 77-81 victory at Olympic Sports Center Athens on Thursday. The win lifted Barcelona to 6-3 and into a tie with Maccabi Electra for second place. Barcelona hosts Maccabi next week. 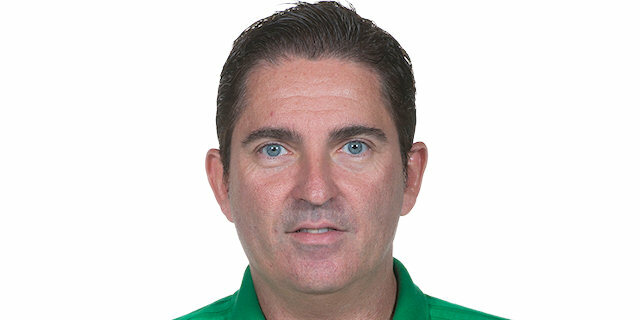 Panathinaikos dropped to 5-4 and sits in fourth place in Top 16 Group E. Justin Doellman posted 21 points and 7 rebounds for the winners, while Juan Carlos Navarro scored 17 and Tibor Pleiss netted 15 in as many minutes before fouling out. 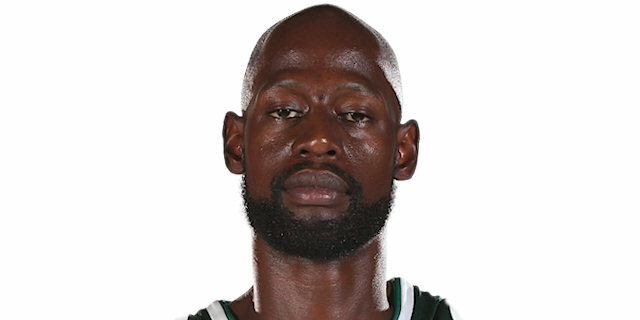 Esteban Batista posted 16 points and 9 rebounds, James Gist scored 14 and Dimitris Diamantidis totalled 12 points and 6 assists for the Greens. Batista helped stake the hosts to an early lead, but Alex Abrines scored 8 points and Tomas Satoransky delivered 4 assists in a 0-12 run to end the first half with Barcelona ahead 32-42. 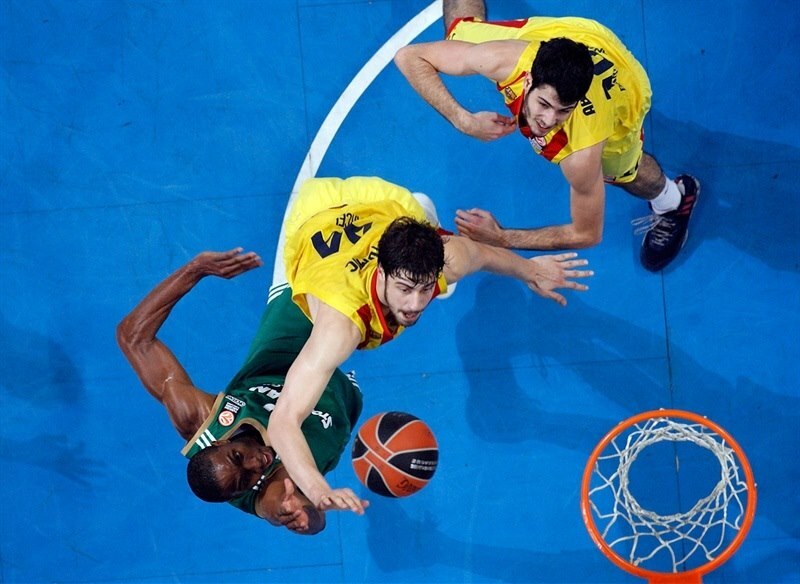 Panathinaikos got within 2 in both the third and fourth quarters, but Barcelona always had an answer as it held on for the victory. 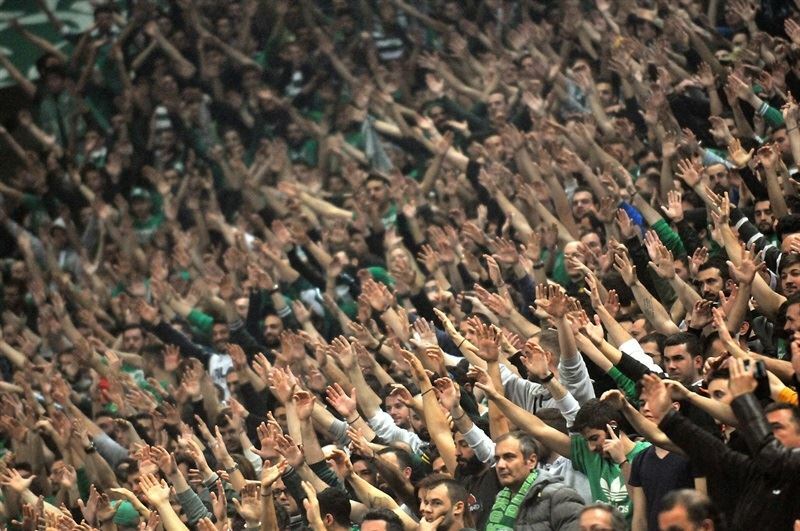 Panathinaikos won the opening tip and struck first through a Gist three-pointer. After a pair of rejections from Vlantimir Giankovits and Batista, Ante Tomic split free throws for the visitors’ first point. Batista went to work inside with a pair of baskets inside to make it 7-1. Doellman’s offensive rebound set up Satoransky for a Barcelona three. After Gist scored for the Greens inside, Doellman scored and was fouled. Batista scored a second-chance basket and Doellman drilled a three to make it 11-9. 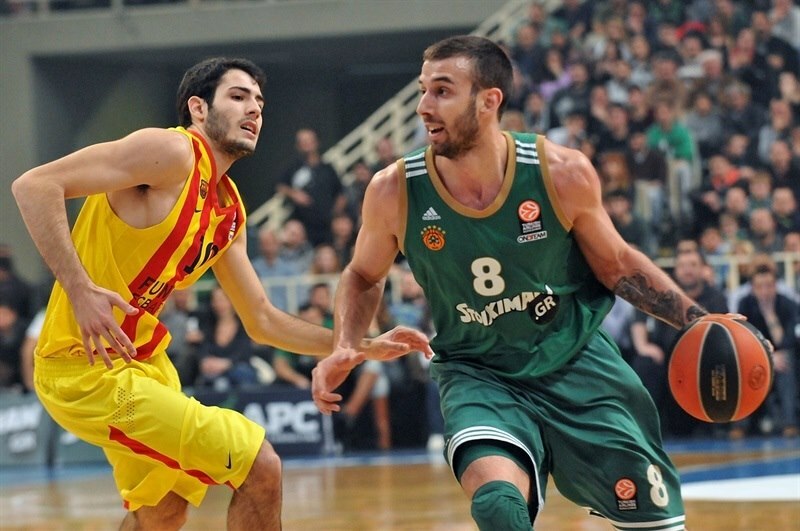 Batista and Diamantidis re-extended the Greens’ advantage to 6. Pleiss came in for the visitors and Satoransky immediately found him for a slam, but Antonis Fotsis dunked and was fouled by Pleiss at the other end. Navarro drained an open three in transition. Fotsis quickly answered with a jumper. Pleiss and Fotsis made free throws and Loukas Mavrokefalides’s tip in was ruled to com after the buzzer, leaving the score 21-16 after 10 minutes. Pleiss scored inside to start the quarter and Navarro’s floater cut the difference to 1. After Nikos Pappas sank free throws, Navarro tied the game at 23-23 with a three-pointer. Marcelinho Huertas banked in a second-chance opportunity to give Barcelona its first lead. Gani Lawal tied it with a slam, but Navarro was left open and punished the hosts with another three. 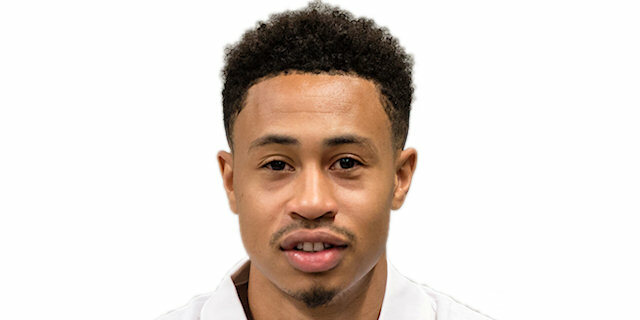 Pappas answered with a jumper before throwing a pass to Lawal for an alley-oop as the Greens wrested the lead back, 29-28, midway through the quarter. Nearly two minutes passed without a point from either team until Doellman sank free throws. A.J. Slaughter buried a three-pointer, but Abrines – after missing a three-pointer – stole the rebound from Giankovits and scored a layup to make it 32-32. Tomic finally scored his first basket and made it a three-point play. Abrines added a tough layup and a triple, which were both assisted by Satoransky. The Barcelona point guard found Tomic for a slam to make it 12 unanswered points to end the half with the visitors up 32-42. Gist opened the second half with 2 free throws for the hosts. Doellman drained a three only to see Slaughter match him. Tomic scored thanks to a well-placed pass from Brad Olson. Diamantidis sank a pair of free throws as the difference remained in the 8-10 point range. 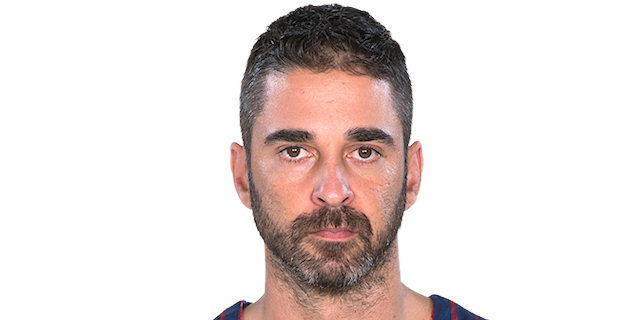 Satoransky’s layup was matched by Batista. Diamantidis fed Batista for a reverse layup that made it 43-49 midway through the quarter. 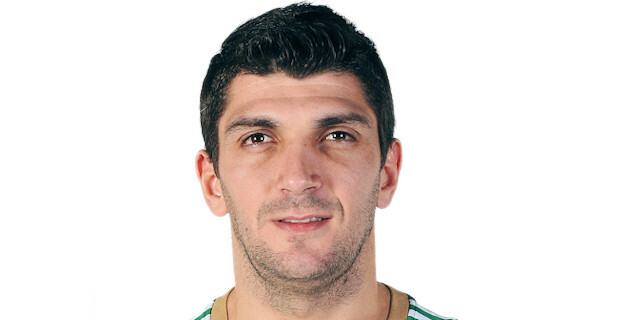 After a timeout, Panathinaikos attacked again as Diamantidis’s steal set up a Gist slam. The Greens’ playmaker added free throws to cap an 8-0 run that brought his team within 2. Marcelinho Huertas ran the pick-and-roll with Pleiss, who finished with a slam. Deshaun Thomas made it 47-53 with an offensive rebound, basket and foul. Pappas scored a tough layup to keep it close, but Pleiss answered with a jump hook. DeMarcus Nelson muscled his way to a three-point play with 20.3 seconds left in the quarter. Pleiss’s dunk in the closing seconds of the quarter made it 52-57. 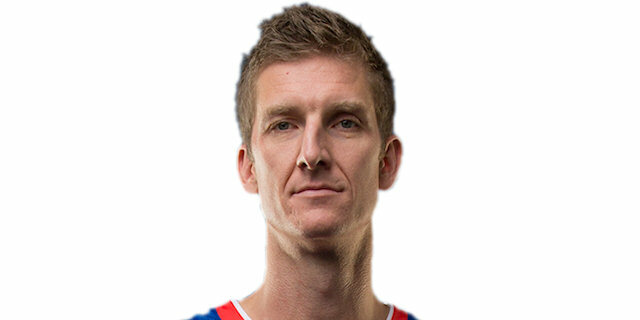 Gist assisted to Batista for a layup, but Marcelinho Huertas fed Pleiss for a monster slam and foul to make it 54-60. Batista drew Pleiss’s fourth foul and sank 2 free throws. 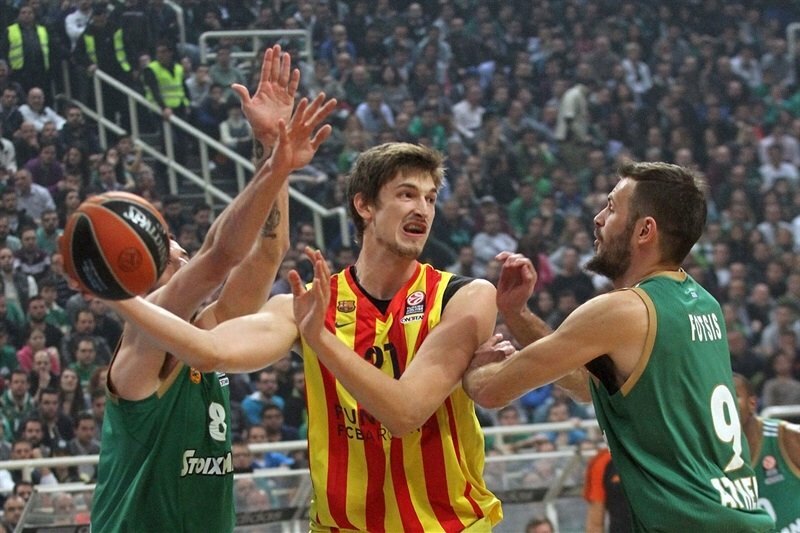 Doellman hit a jumper and Panathinaikos coach Ivanovic was called for a technical foul. Navarro made the free throw for a 56-63 lead. Pleiss fouled out with seven minutes to go and Gist made the resulting foul shots. Doellman matched him at the other end. After Nelson assisted Fotsis, Doellman and Diamantidis swapped threes to make it 63-68 with less than five minutes to go. Abrines knocked down 2 free throws and Nelson spun for a tough basket. The teams continued to trade points as Doellman hit a long jumper and Nelson converted 2 free throws. 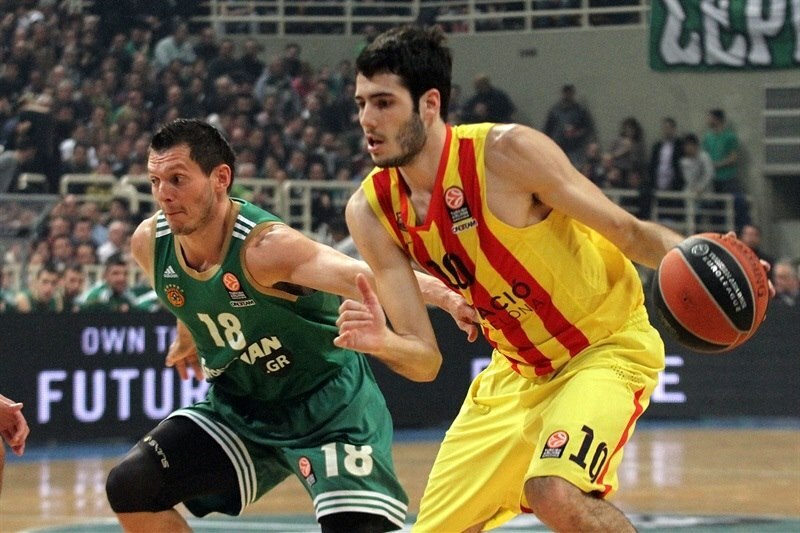 Diamantidis came up with a huge rejection of Tomic. Navarro nailed a three, but Slaughter did the same. The arena erupted when Gist drilled a three with 1:34 remaining to make it 73-75. Doellman banked in a tough shot to make it a two-possession game. Fotsis split free throws with 57.5 seconds to go. After Doellman missed a tough jumper, Panathinaikos turned it over. Navarro iced the victory with a pair of free throws with 10.9 seconds on the clock. Diamantidis managed to bank in a lucky three, but Satoransky’s free throws ended the game. “Our target is still to get one of the first two places, but now after we lost two games in a row it looks tough. Tonight we had an impressive start, but in the second quarter we lost our way at both ends of the court. Barcelona is a great team that took advantage of our mistakes and got the win. It is painful to lose four times to the same team in the same season, but now it is over. We have to go step by step and see what we can achieve at the end of the Top 16." 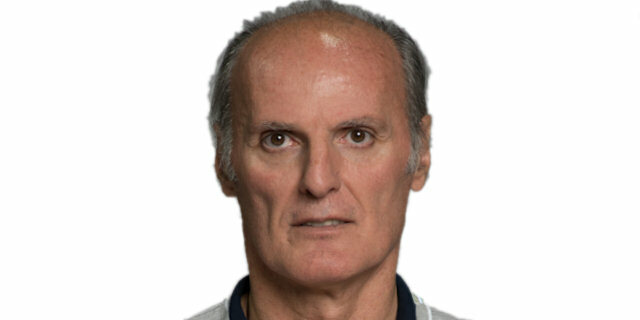 "I think that details decided the result and I feel bad because we made many mistakes in the crucial moments. You are not allowed to do so in such a critical game against such a great opponent, but the show must go on. There are five more games to play in the group and we have to take one at a time." "We got a great win tonight in a very difficult and competitive game. 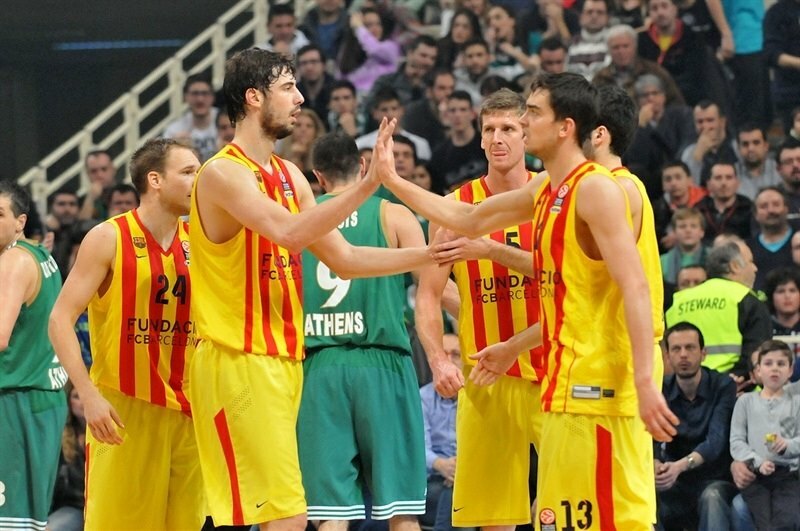 Some good shots and crucial boards were the key for us to beat Panathinaikos and sweep the series, 4-0. I think that in all four games we defended well against them and had the rotation needed."